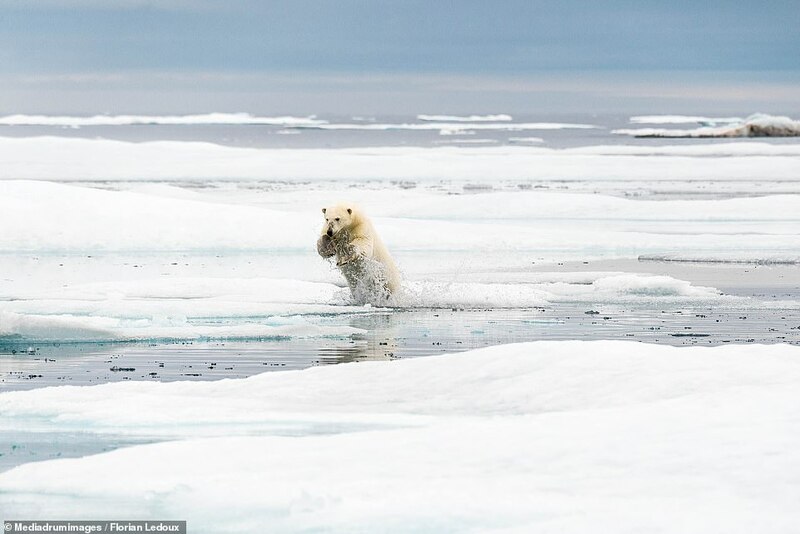 Heart-breaking images have captured 'climate refugee' polar bears hunting across the shrinking Arctic ice. 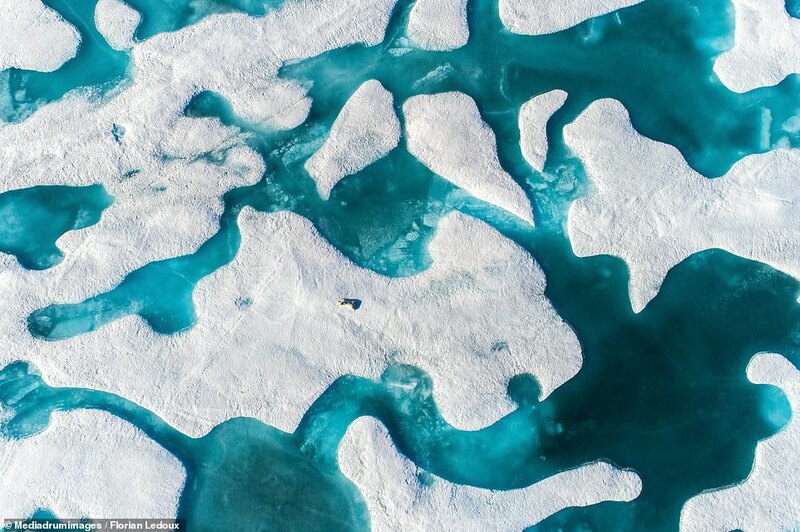 The stunning pictures show the endangered creatures on dwindling icebergs as their natural habitat vanishes thanks to global warming. Polar regions are warming twice as fast as the global average and the impact it is having on the local wildlife is devastating. One image shows them leaping across the water from one block of ice to another, gazing up at the drone and feeding on fresh kill. 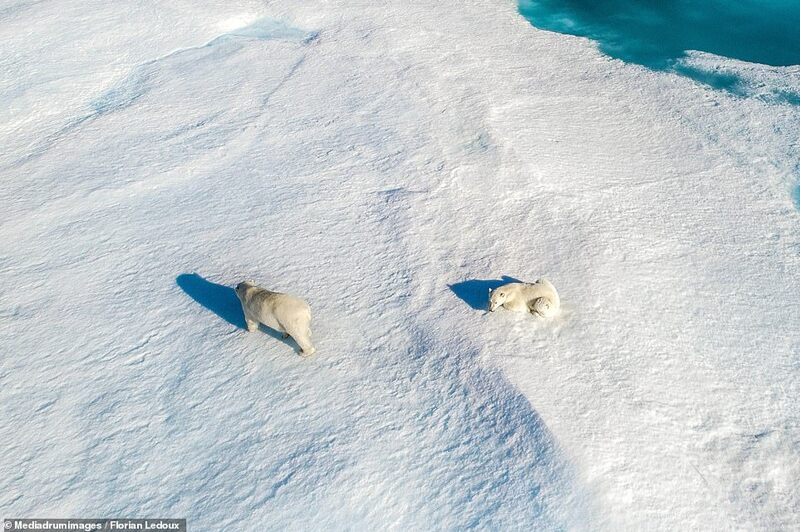 Another shows one resting at the edge of a small piece of ice, lying with a friend while flanked by the criss-cross pattern of blue water. 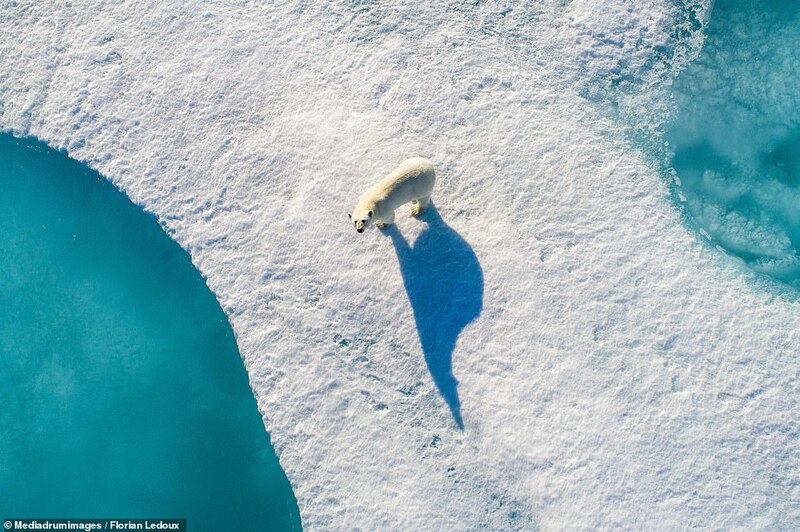 The remarkable snapshots were taken at two locations - Nunavut Baffin Island and Devon Island, North of Canada - by wildlife photographer Florian Ledoux, who's originally from France but now living in Tromso, Norway.